Shiny® R-532D Self-Inking dater with a 1-1/4in. diameter impression area. Light weight plastic body, yet incredibly durable. 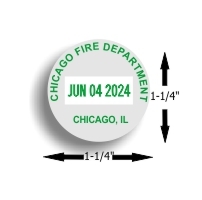 Standard 12 year date bands (we guarantee minimum of 11 years) have a protective cover to protect fingers from ink contamination when changing dates. Shiny® R-542D Self-Inking dater with 1-5/8in. diameter impression area. Light weight plastic body, yet incredibily durable. Standard 12 year date bands (we guarantee minimum of 11 years) have a protective cover to protect fingers from ink contamination when changing dates. Shiny® R-552D Self-Inking dater with a 2in. diameter impression area. Light weight plastic body, yet incredibily durable. Standard 12 year date bands (we guarantee minimum of 11 years) have a protective cover to protect from ink contamination during date changes. Show your true colors! Perfect for holiday invitations and cards. Great gift for any patriot. Built in pad contains red and blue water based ink which dries well on any "porous" (non-coated) surface. 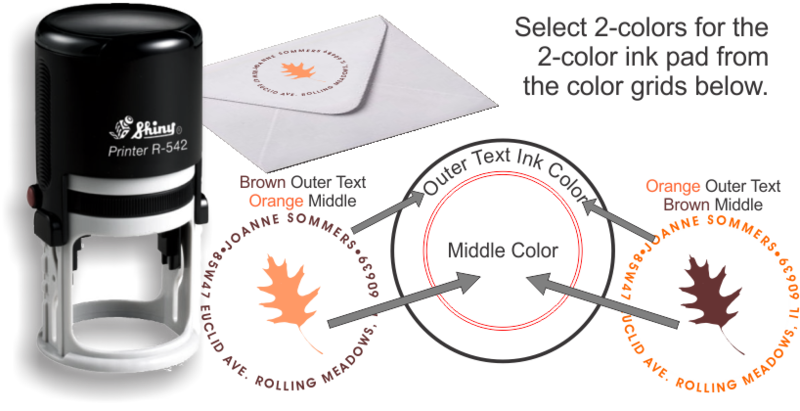 2-color pad reinks easily with any water based stamp ink. 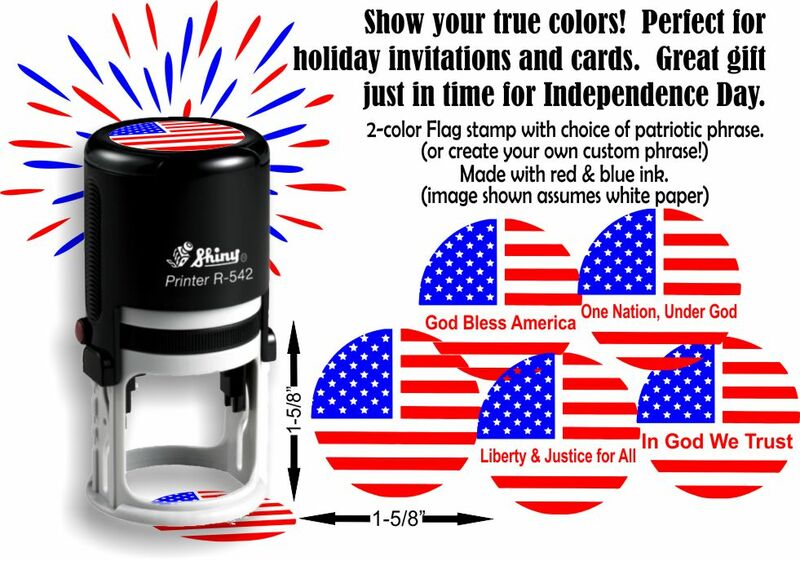 Select the flag layout / patriotic message you prefer and then Add to Cart. Tip: To order more than one Flag Stamp with different layouts, add them to the cart "one at a time". Select "Continue Shopping" from the cart, and the site will return you to the original product, ready to continue. The volume discounts will be applied in the shopping cart. You absolutely will not find this stamp any where else! This one of a kind 3 color selfinking stamp makes a bold statement on all your correspondence. Promote your patriotism to friends, relatives, neighbors and even postal workers with this colorful, easy to read return address stamp. Type in your name and address in the box provided and then Add to Cart. Tip: To order more than one Flag Stamp with different names and addresses, add them to the cart "one at a time". Select "Continue Shopping" from the cart, and the site will return you to the original product, ready to customize with new details. The volume discounts will be applied in the shopping cart.